Built in 1935, this modest brick building can be found in downtown Summerville across from Hutchison Square. While its exterior may seem simple and unassuming, its interior has offered up romance and intrigue for nearly 70 years – first as a theater, then as a cinema, and now as a theater again. Having long played host to storybook adventures, it makes sense that its original owner, Getrude Sanford Legendre, led such a life herself. In 1902 she was born into one of Aiken‘s most privileged families, and as a young woman she became fascinated with game hunting. Since she had the resources to travel, she often journeyed far and wide in search of exotic animals. From India to Africa, and from Alaska to Abyssinia, Legendre was such a skilled hunter that many of her specimens were donated to the Smithsonian Museum. 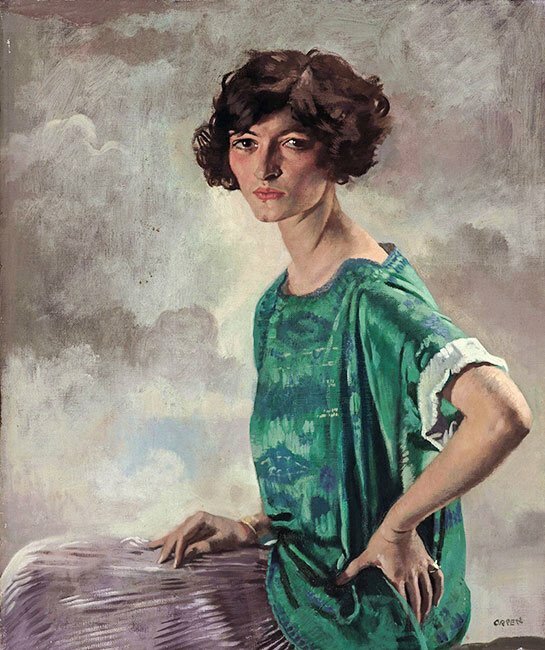 In fact, she was on an expedition commissioned by the American Museum of Natural History in 1929 when she met her future husband, Summervillian Sidney Legendre. 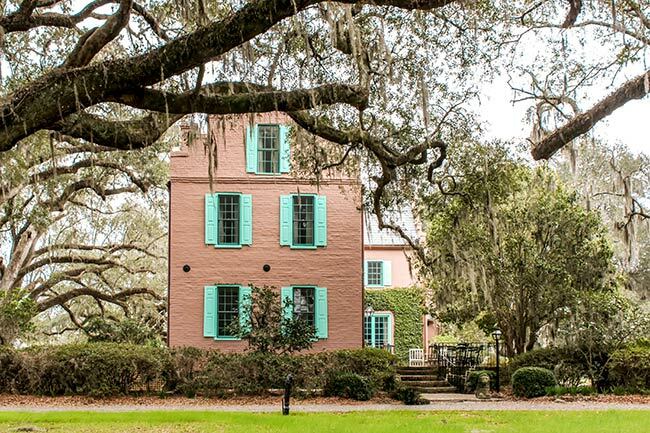 After their marriage, the Legendres purchased Medway Plantation in Goose Creek, which eventually was named an Important Bird Area by the National Audubon Society. Gertrude Legendre became an active environmentalist and conservationist. 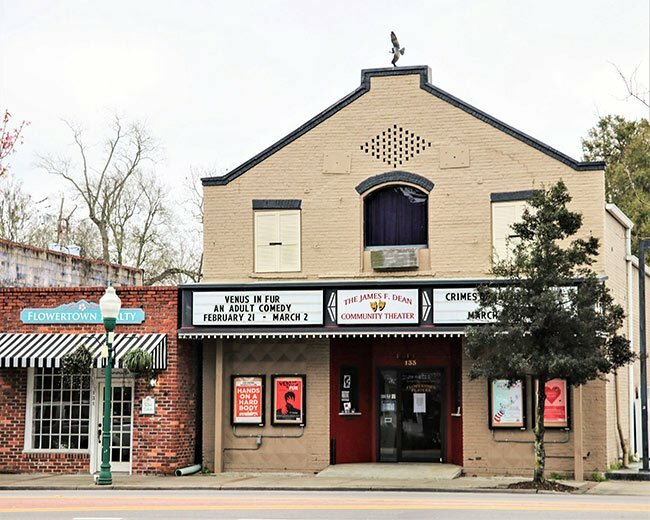 Sidney Legendre owned a chain of theaters throughout the South with his brother, Morris, and in 1935 the Legendres built the Summerville Theatre. For decades its walls were adorned with game trophies acquired during Gertrude’s hunting expeditions. The theater operated until the 1950s, when the building was converted to a cinema. Movies were shown here until the early 1970s. 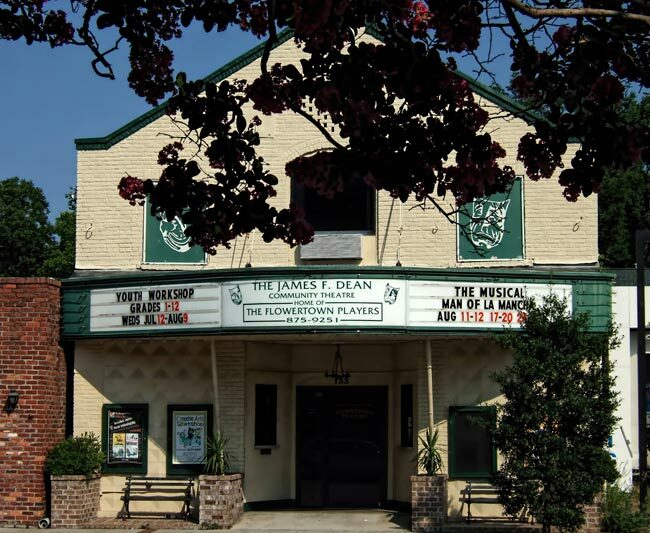 It then sat abandoned until 1976, when a burgeoning theater group called the Flowertown Players asked its owner for permission to use the stage. From that point the theater has held numerous shows each year, briefly closing in 1983 for structural repairs. In 1986 the Flowertown Players purchased the building with support from the Town of Summerville. The group restored the building and named it for James F. Dean, a founding member. In the spring of 2014 a new marquee was installed to recall the original 1935 marquee. 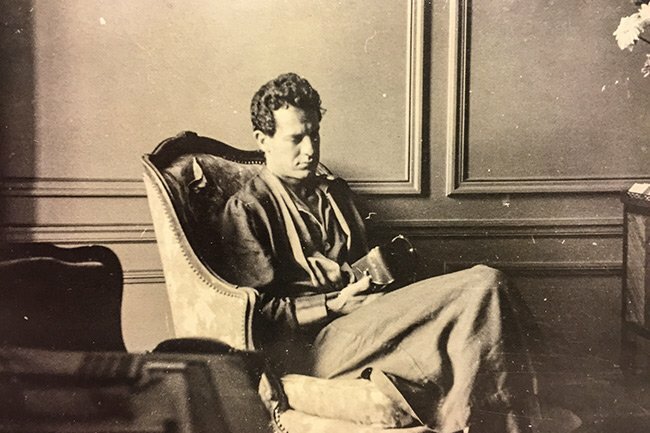 Sidney Legendre died in 1948; Gertrude Legendre died in 2000.